It is September and Labor Day weekend in the US starts tomorrow! Fall is officially here on the calendar. 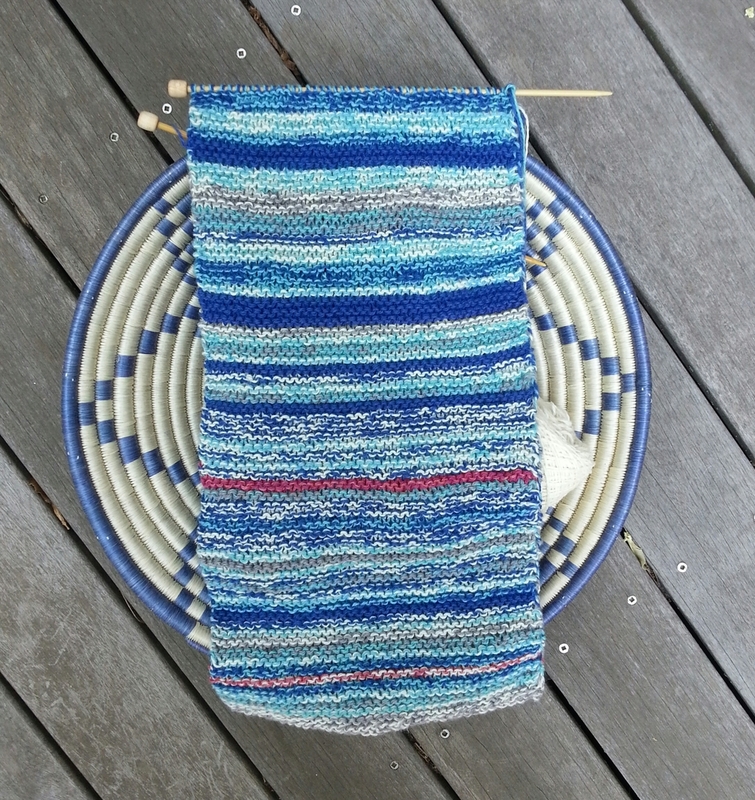 Here's my Sky Scarf so far, showing the weather in Boston, MA this summer. Lots of days with blue skies and puffy white clouds and a handful days with stunning deep blue cloudless skies! The first red line is the 4th of July Fireworks and the second is a spectacular sunset. I'm really enjoying the project. If you want to join the fun and Knit the Sky click the link to get started! I highly recommend it..it's a lot of fun!